It is a hidden secret that some Government Statistical Offices are doing as much as or more for Statistical Literacy of their countries than Academics, Departments of Education and Statistical Societies. 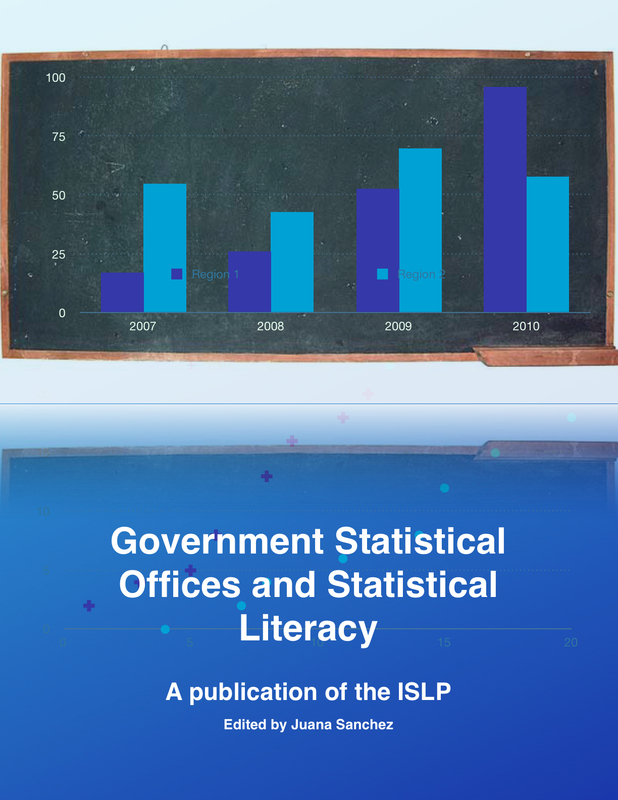 It is for this reason that the ISLP asked the directors of some of the most successful statistical literacy programs of government statistical offices to explain how they do it. This book contains the chapters that summarize their efforts and their programs in detail. Some of these programs are award winning programs, like Statistics Canada’s and Statistics Portugal’s. We hope with this publication to provide examples for other countries to imitate and to provide the contacts that these countries can dialogue with. The inspiration for this book came from the compilation of government statistical offices done by the ISLP years ago under the leadership of Reija Helenius and maintained subsequently by her, Paola Guiache and Carol Blumberg. These pages can be found at programs and training and are still maintained.